The morning broke bathed in glorious sunshine and after disembarking we enjoyed our first baguette and jam on the ramparts of St-Malo – thoroughly delicious in all respects 🙂 We caught the ferry over to Dinard and after a little potter around the town we took the voie verte to Dinan. It was a beautiful ride and it was good to be back on the bikes. Unfortunately, it all went a bit pear-shaped at the end of the day as the Husband took the wrong road to the campsite and we ended up cycling up the steep hill to the ‘HILL TOP’ town of Dinan and then down the other side to the campsite … which turned out to be closed … so we then had to go back up to the ‘HILL TOP’ town of Dinan and back to Taden which was apparently the nearest open campsite. The campsite was of course at the top of another hill … I was pushing at this stage. The first pitching of camp went well but took quite a lot of time while we figured out where to put everything. At last it was time to shower, eat and relax. Unfortunately, my shower was cold … c’est la vie … but the evening picked up with a delicious dinner at the campsite restaurant and a pichet de vin rouge. The first day had highlighted a few problems on my bike – my toes hit the back of the front panniers when I turned and my shoulders hurt. So in the morning I spent a bit of time moving the clips on the back of the panniers so the panniers sat further forwards and lowering my handle bars so my arms were more extended. These tweaks seemed to fix the problems. I also rigged up a cord on my handlebar bag to hold our solar Luci lantern in the sun. I had it on the back rack the day before but it wasn’t the best for light exposure. We then hit the road and seemed to spend the whole day struggling up big hills. Even though mentally we knew the first couple of weeks would be hard, the reality was still exhausting and wearing. Then again that night we had problems with camping. The first campsite we went to (at the top of a hill – of course) was hosting a Harley Davidson meet and was closed. The bikers were very impressed with our set up and we caused quite a sensation but we had to move on to find another campsite as time was getting on. We peddled on for another 10kms to the next campsite but found that it was also closed. In the end we just wild camped as we had really had enough, it was going dark and there was no guarantee the next campsite (8kms away) was open either. We are carrying the 2017 ‘Le Guide Official de la FFCC Camping Caravaning’ with 9226 French campsites listed but, the French being French, not every campsite is operating as listed! The next day we found a tourist information office and identified all of the campsites in the area that were actually open. That day was still hilly but at least we turned up to the campsite that night and it was open – not very good and very expensive – but open. 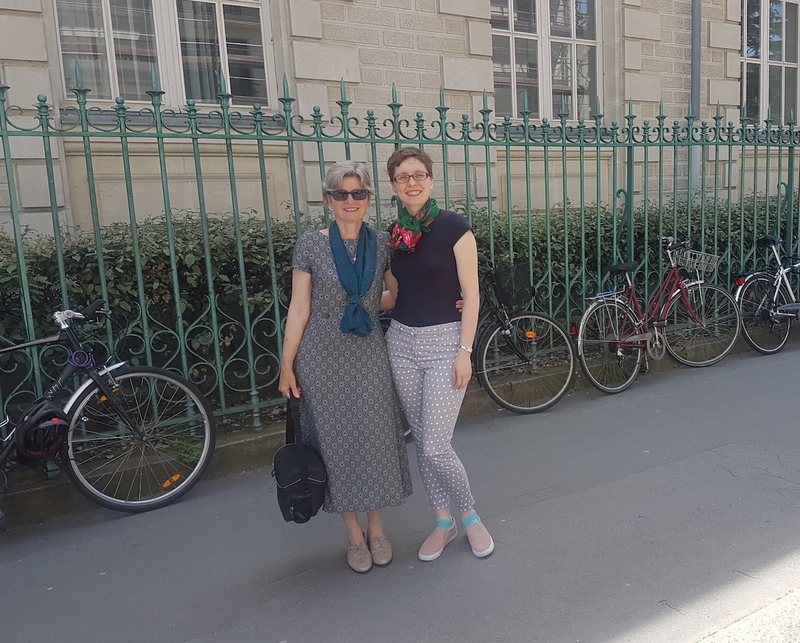 The original plan was to cycle to Vannes and then head down the coast to Nantes but with our new information on campsites and the reality of the upcoming terrain versus our current physical ability, we changed the plan. 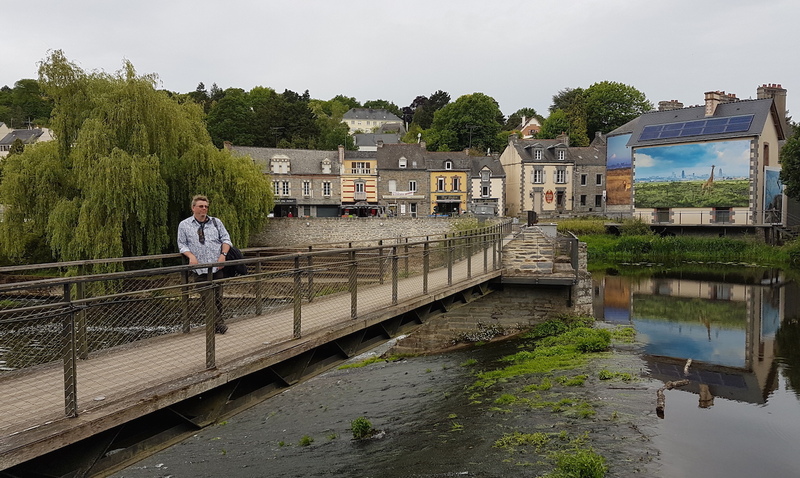 Instead we headed off to a voie verte that connected with the Nantes – Brest canal. Things were looking up – we came across a market on the way and bought some lovely things for dinner and then we came across a lovely campsite on the waters edge so stopped early that day. After pitching, we strolled around the village and stopped for a beer in the local bar. The Husband created a fabulous meal that night and I’m now trying to persuade him to do campsite cooking recipe posts so fingers crossed. Unfortunately, the next day we ran out of gas, which really surprised us as our gas lasted much longer last time we travelled. 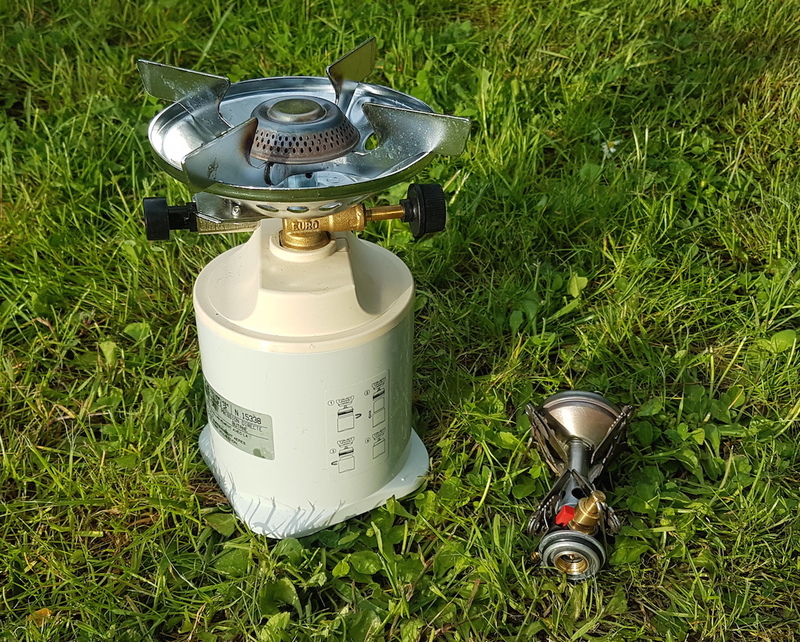 We had been very impressed with the efficiency of our new camp stove as it boiled water quicker than an electric kettle! However, it also was very difficult to simmer with … and was also apparently very heavy on the gas. We spent a good proportion of the day trying to find more. I stood outside a supermarket with all of the panniers for several hours while the Husband pedalled furiously around all the suggested outlets. Nope. Zip. Nada. The next day was Sunday and no shops are open in France so the situation was pretty dire. The solution in the end was to buy a French camping cooker (HUGE) that took the French gas available at the supermarket. I had to strap the beast to my back rack and there it remained until we reached Nantes and could get the type of gas we need. We are now thinking that a wind shield might improve the situation, and of course to carry more gas! Our trip was beginning to feel like a comedy of errors – we were making all the rookie mistakes possible! The next day we were back to closed campsites at the top of hills followed by wild camping at a closed municipal campsite but at least we had the company of a couple of other cyclists. I also fell off my bike again that day as my front pannier hit a rock and I landed with my face in a bunch of nettles – not my finest hour! The next day we cycled off the route to a little village called La Gacilly, which is home to a range of artisan crafts people, for a (much needed) rest day. We were both looking fabulous at this point as the Husband had broken out in the worlds largest cold sore ever which had become infected and I was covered in bruises and nettle stings … so the first stop was the pharmacy. We followed that up with some heavy duty clothes washing by hand as we hadn’t encountered a washing machine for some time. However, we then strolled around the photo exhibition, had lunch at a creperie, and finished the day with a nice bottle of vin rosé … it was a Monday so all in all as Mondays go, not bad. The next leg is still somewhat of a mystery as yet but looking more and more like we will head over to Poitier and then head south for a while to meet up with some friends. I have one request, Campsite Cooking with Mark :)!